Morris Lessmore loved words and stories. He loved books. He even had a book he was writing his story in. Then one day the winds blew and everything Morris knew was scattered. Then he followed a book to an extraordinary building where there were many books. Here Morris stays, looking after the books and writing in his own, until his time is up and someone new comes along. 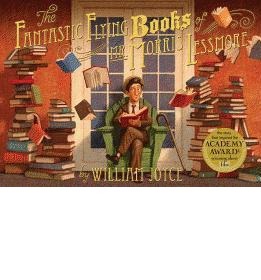 This is a beautifully lyrical book about – well the magic of books. The story is simple and eloquent. Visually it is stunning and it does what all good books do – it sweeps you up into its pages. Highly Recommended. This truly glorious book is also an animated short film and it picked up Winner of the Best Animated Short Film at the Oscars this year.